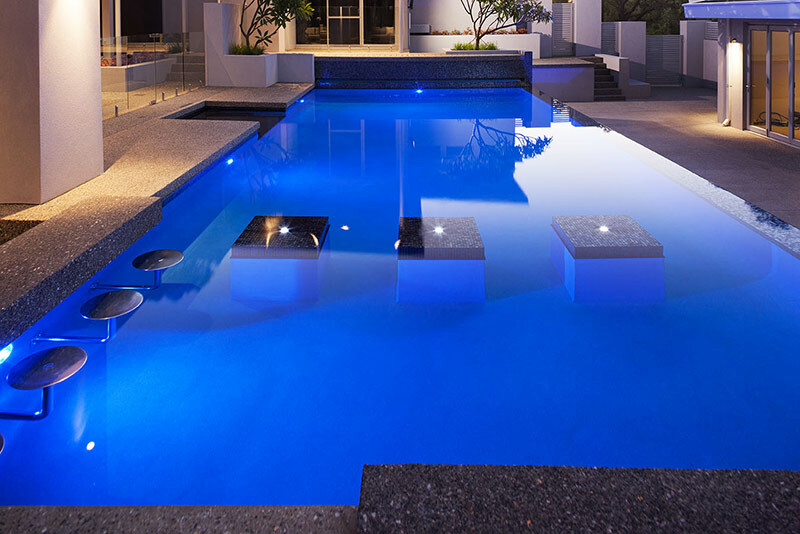 overall resort theme of this property. 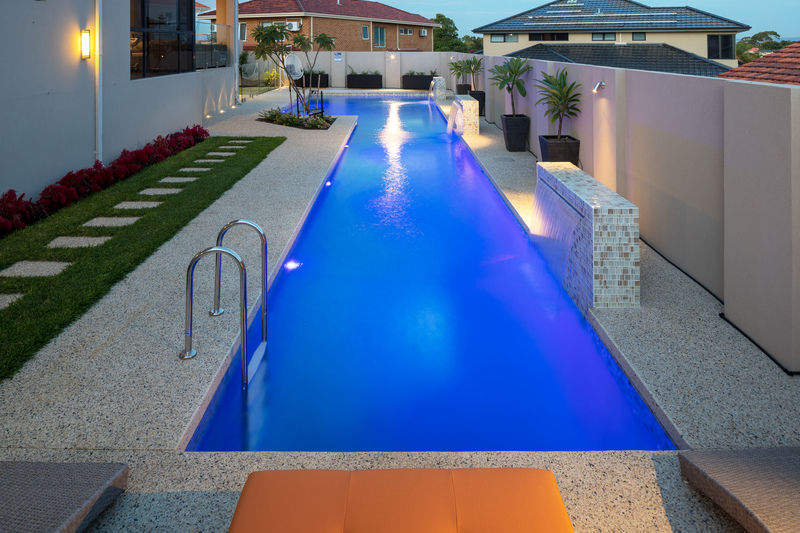 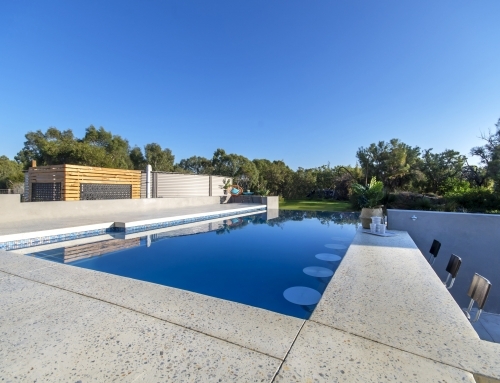 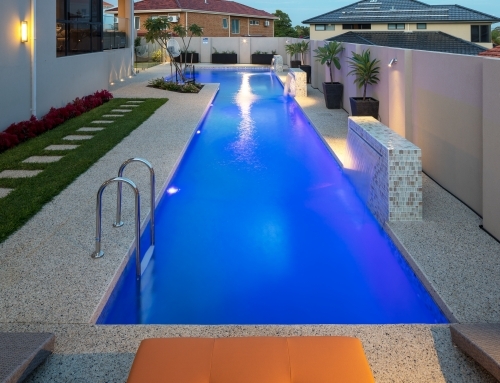 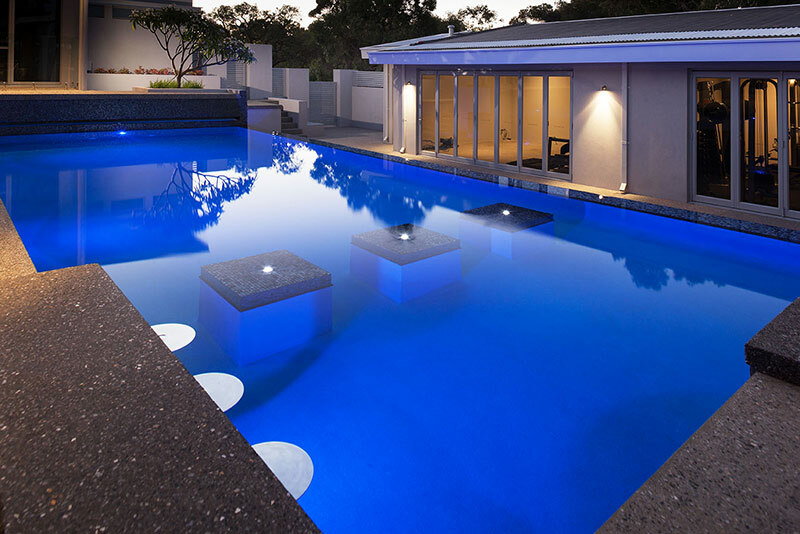 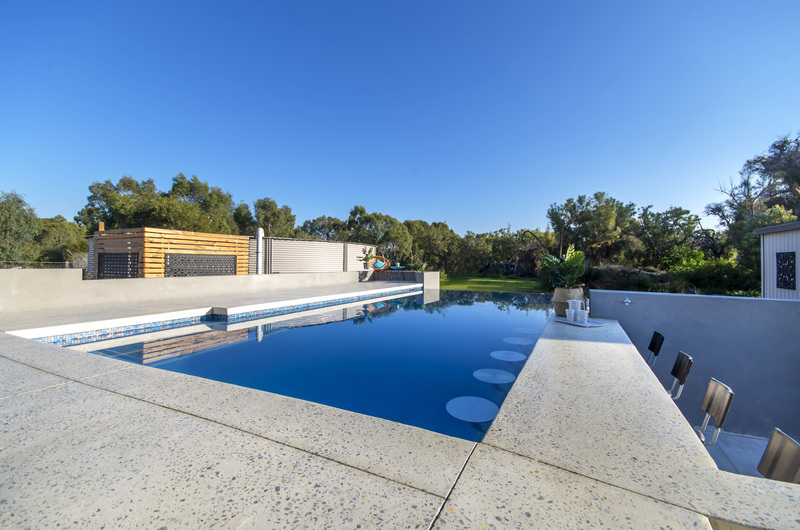 Featuring a swim up bar with custom stainless steel stools, mid pool piers incorporating LED bubblers, a 12m infinity edge and an extensive glass mosaic waterline and spillover wall this pool makes an impact. 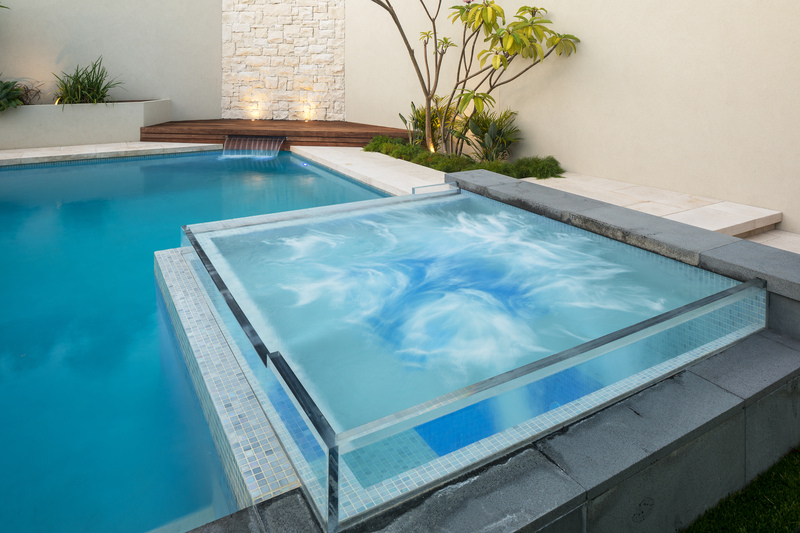 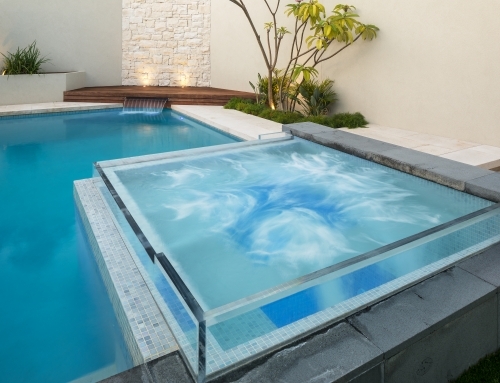 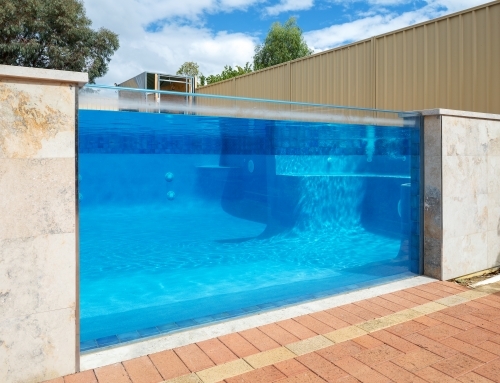 A cleverly concealed pool blanket system ensures evaporation is minimised when is use but invisible when retracted. 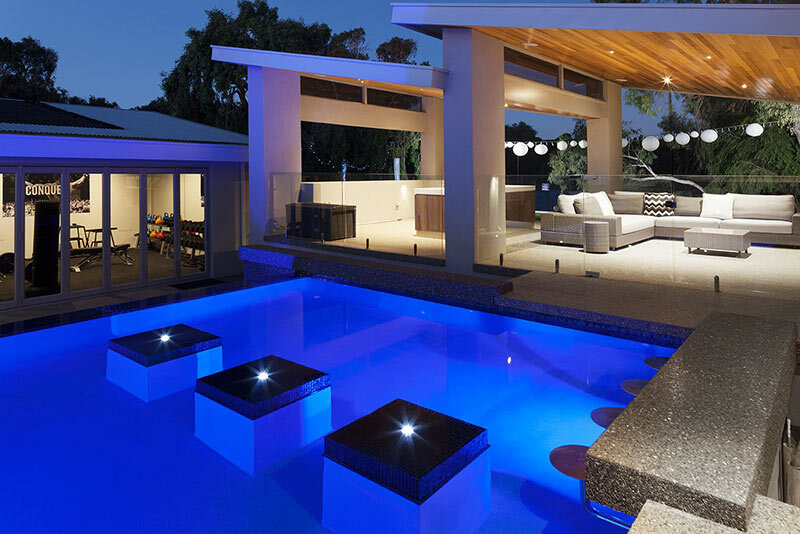 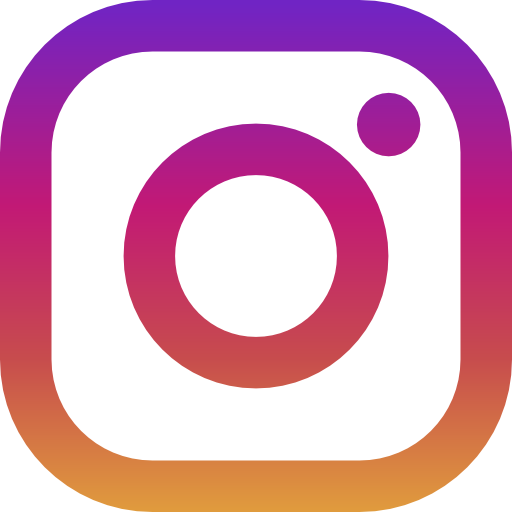 A WiFi enabled control system provides functionality and accessibility from anywhere and everywhere. 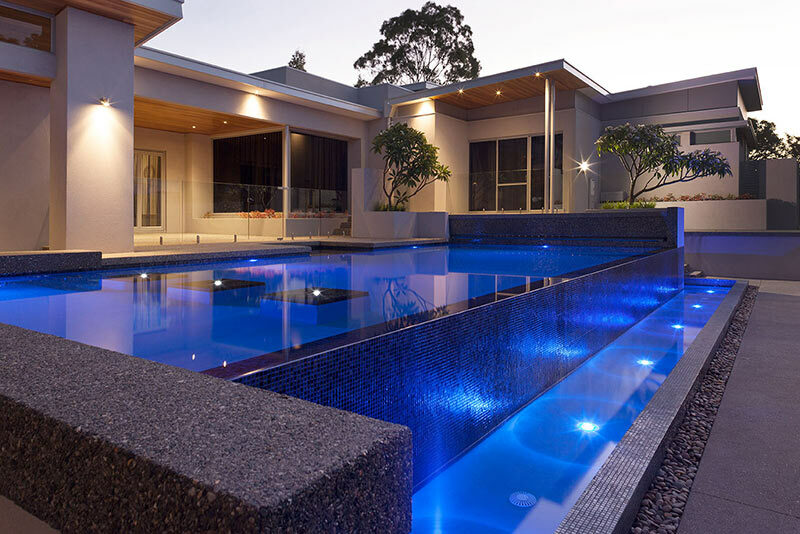 Winner in the SPASA WA Awards of Excellence 2015. 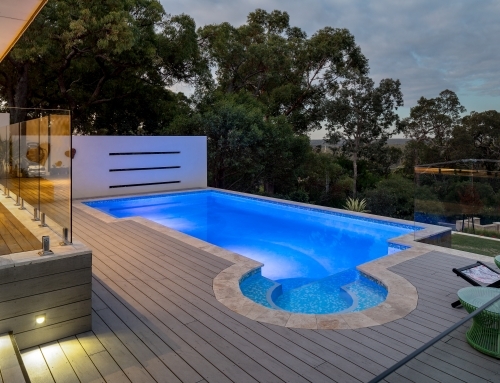 The stunning landscape perfectly surrounds our clients infinity edge pool & spa combination. 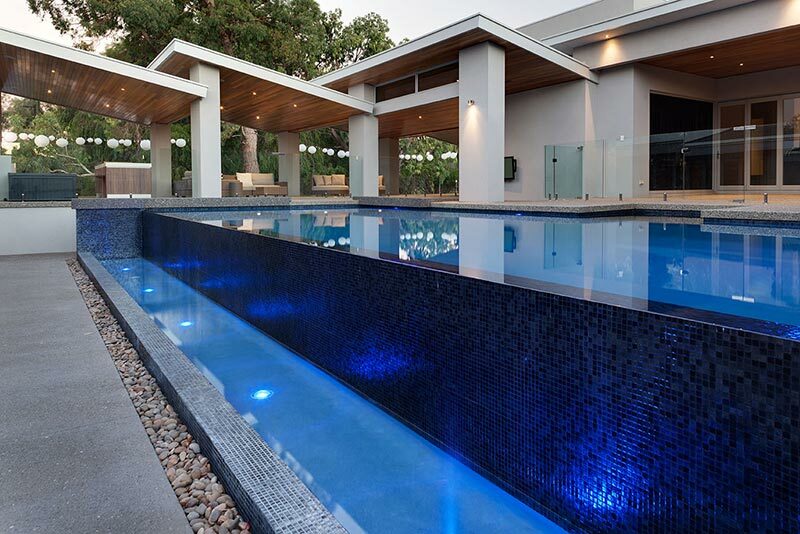 Our client chose natural stone for the pool surrounds and spillover face which complements the natural setting. 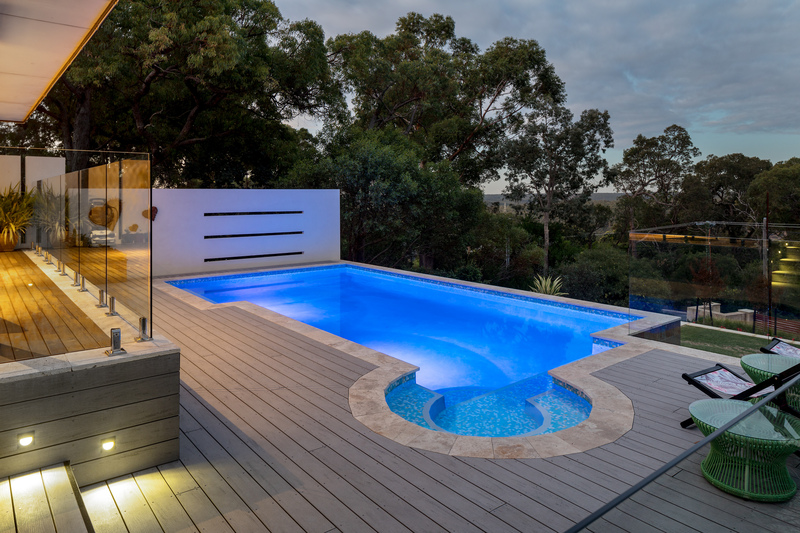 Constructing the pool in an elevated position ensures uninterrupted views of the picturesque estuary from both the pool and spa. 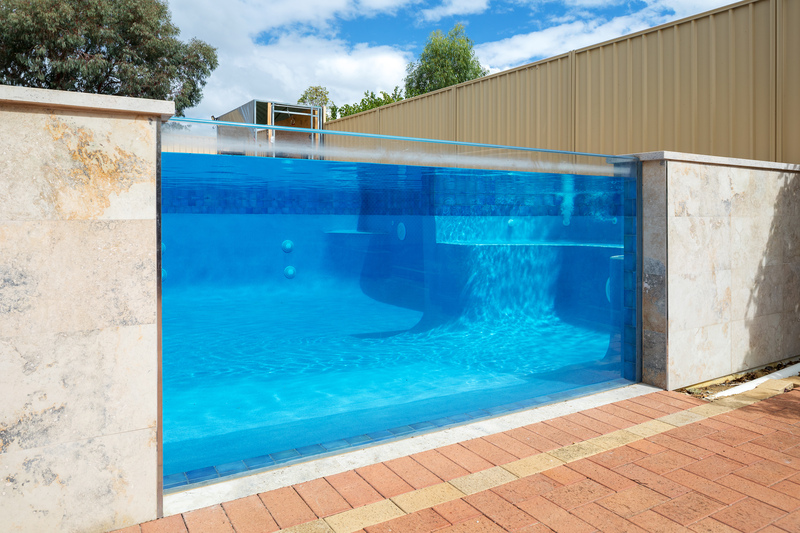 Swim jets were installed in the pool which can transform the relaxing area to a virtually endless lap pool for our client to maintain their fitness.